The festive season is finally upon us! Very soon, we'll be eating good food and giving out presents for Christmas before the New Year begins. Advantio wants to wish you and your loved ones a very happy holidays and we hope that you have a wonderful time. Take some of our advices under your Christmas tree and let's cheer up together to a prosperous 2016! We must never underestimate the importance of IT security, that's why we've put together this article on how to keep your passwords and the ones of your team, safe. We believe that good practices and the use of the right tools, can reduce the risks. Password security is such an important task and yet so many people think about it so with this list of password management software you will easily be able to keep track of all of your log-in details and to keep them secure as well. Remind, these are just some of the apps that you can find in the market and they are not 100% secure. Some of them have been hacked in the past, another proof of the fact that being completely secure is a very hard task, even for people who work in work hard to avoid it from happening. Customers' data is extremely important and must be protected. Make sure you start from simple tasks, keep your passwords safe. 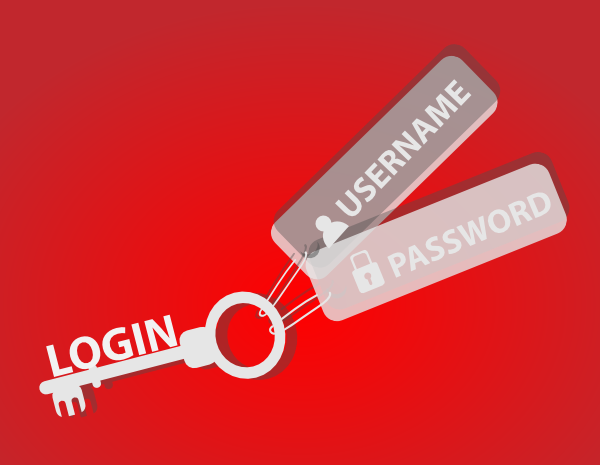 LastPass is one of the most popular password management tools on the market as it works with a range of different devices and browsers, which is especially handy if you have a personal and work computer or if you often switch from your laptop to your phone. And it's not just passwords either, as it can also save things like bank information. On Firefox, Chrome, Safari and Opera, LastPass is offered as a plug-in, you can get it as a desktop app on Mac, Windows and Linux and as a mobile app on iOS, Android, Blackberry, Firefox OS and Windows Phone. If you only use LastPass on one device then it's free but the premium version lets you sync log-in info across devices for a few dollars per year. Moreover, you can subscribe for the plan called "LastPass Enterprise" that aids you in boosting the password security of your business, as it will show you how strong each employees' password is. By downloading the Zoho browser extension, your team members can quickly share log-in info and it will auto-fill passwords from the shared team vault. Moreover, it offers reporting tools that tell you about your team's password usage and with its enterprise solutions, it will send you an alert when a password is changed. So, not only does Zoho Vault take away the headache out of remembering passwords (and trying to get new hires to remember them) but it also helps you keep them safe as well. Zoho Vault doesn't have a free version; it comes with small costs for either lone users or groups and it includes reports. For a few dollars per month per user the Active Directory integration is also available. Many will agree that that price is worth it though, as it makes it incredibly easy for teams to work together. If you're already using a Mac then you'll be glad to know that iCloud Keychain (Apple's own password manager) is already built into its OS X and iOS and so you can save site passwords, Wi-Fi log-in info, desktop app info, FTP server log-ins, and encrypted disk images and you can sync all of this information between OS X and iOS devices. There are other helpful benefits too including the fact that on iPhone, its settings are protected with your iPhone keycode and Touch ID while the desktop Keychain app on Mac will show you all of the passwords you have saved (handy if you've forgotten some) and sort your passwords into groups too. However, iCloud Keychain does have some caveats. For starters, it doesn't support the mobile versions of Chrome or Firefox and for obvious reasons, you can't get it on non-OS X and non-iOS devices so if you've got an Android handset as well, you're out of luck. Passwork, on the other hand, is built specifically with IT teams in mind and the team behind the platform describes it as being like "Dropbox for passwords". Passwork users can create groups and invite users and with these groups having passwords structured into folders, it's simple for each member of each group to get access to the info that they need. Another benefit of Passwork includes the ability send temporary team members a time-sensitive password with one-time use via an encrypted link; this will let you provide access to freelancers or part-time hires without needing to worry about that employee having access even after they leave the company. On top of this, Passwork can be installed on your company servers or you can choose to use Passwork's own, cloud servers for few dollars per user per year. oneSafe is essentially the DIY password management tool of this list as it can hold just about anything you'd like. From passwords and the combination for your gym locker to photos, videos uploaded from your phone and screenshots of your credit card, if you can make it digital then you can probably store it in oneSafe. Also beneficial: you can make a 'Decoy Safe' with fake log-in info to throw off criminals. On top of this, you can even choose from a variety of ways of getting into your safe. You can choose Touch ID, an alphanumeric password, a swipe pattern, a 4-digit pin or a "Tri-Pin" which is where you use a combination of shapes, colours and numbers to log in (e.g Green, Circle, five, Triangle) with a keyboard that will be all mixed up each time so that people watching you won't be able to guess the password from your hand movements. Surprisingly, oneSafe is a bit cheaper than the others on the list as it charges a one-time fee rather than an ongoing subscription. Discover more interesting news about IT security reading Advantio's Blog. Check our News, Tools and Apps Blog category to find out more about handy solutions to IT security's daily problems and reports about the status of IT Security. We wish you Happy Christmas and a prosperous 2016!